You are here: Home / Blog / It’s that time again. The Great Pillow Sale!! It’s that time again. The Great Pillow Sale!! Once a year we offer a great sale on pillows. Pillows can change the look of a whole room and is certainly one of the easiest room transitions. 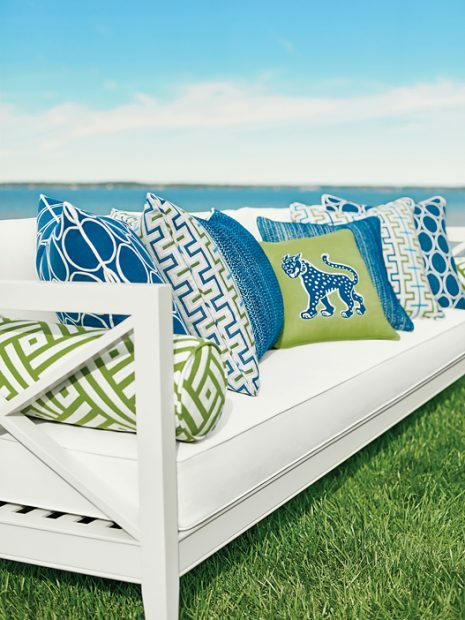 Take your rooms into fall with new, cozy pillows in faux fur, darker colors and prints or give your rooms a bright makeover now for the next beach season. Lucky for you WE ARE OFFERING 20% OFF CUSTOM PILLOWS NOW THROUGH DECEMBER. I love offering a great deal! 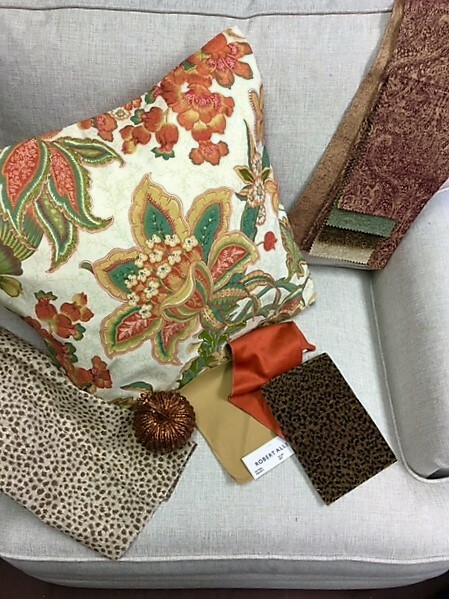 We have a huge library of fabrics to choose from in our studio, along with pillow inserts in polyester or down. Stop in or call for an appointment. In the meantime see below how swapping out your pillows can have a huge impact. Below are just a few of the fall fabrics we are crushing on in the studio. 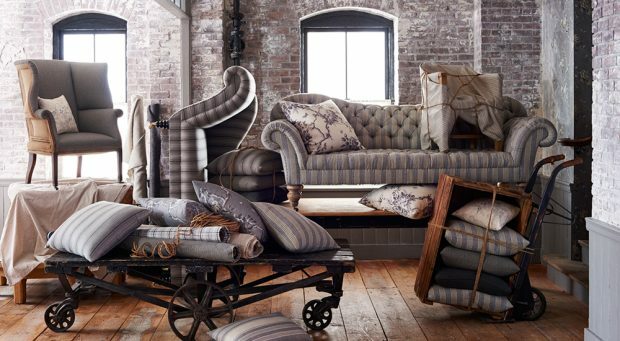 Ralph Lauren Home for Kravet fabrics going grey and neutral. 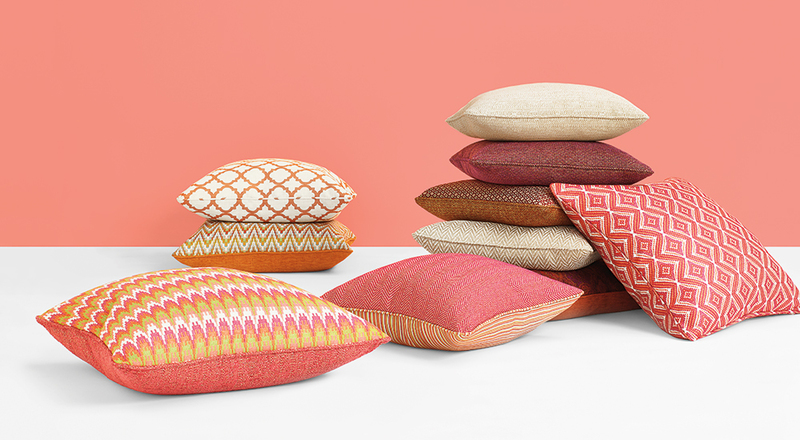 Summer sizzling colors in Thibaut’s fun Geode Ikat patterns. 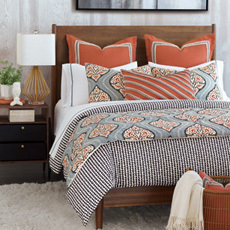 Eastern Accents makes bedtime all snug and cozy. 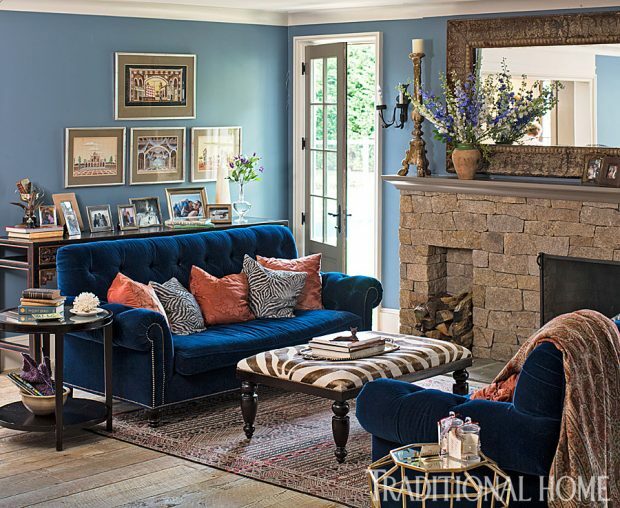 Love the punch these pillows add to this lovely room as featured in Traditional Home. 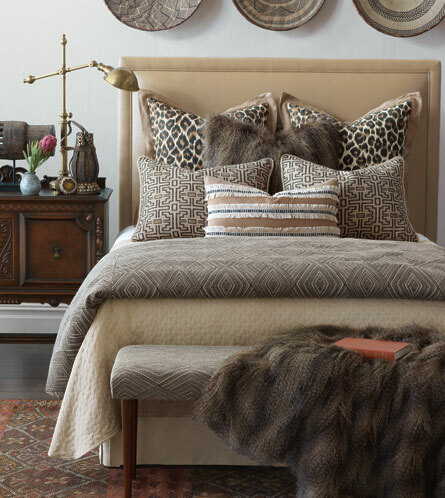 Eastern Accents custom bedding and pillows. 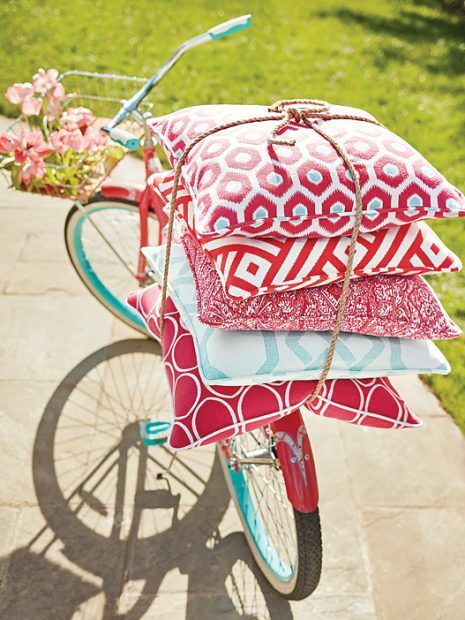 Thibaut keeping it bright in their Calypso Sunbrella collection. I could post hundreds of gorgeous pillow fabrics all day long but I’ll end with this cute guy! 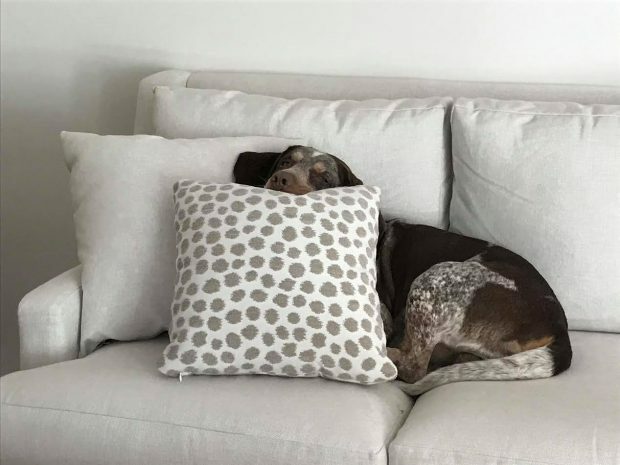 My client’s pup, Wiley who couldn’t get enough of this Sunbrella fabric pillow. I love switching out my pillows. The smallest change can make all the difference. The whole room feels new again!